Within the state of Michigan, copper is found almost exclusively in the western portion of the Upper Peninsula, in an area known as the Copper Country. The Copper Country is highly unusual among copper-mining districts, because copper is predominantly found in the form of pure copper metal (native copper) rather than the copper oxides or copper sulfides that form the main copper ore at almost every other copper-mining district. 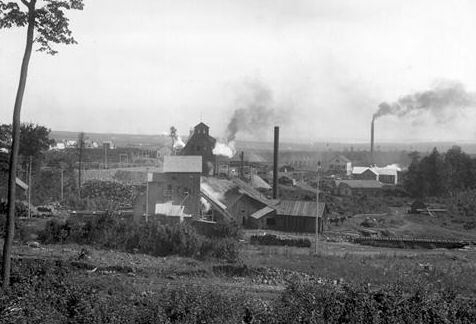 From 1844 to 1985, more than fourteen billion pounds of copper were produced from Michigan's Lake Superior Copper District, on the Keweenaw Peninsula. The first written account of copper in Michigan was given by French missionary Claude Allouez in 1667. He noted that Indians of the Lake Superior region prized copper nuggets that they found there. The Michigan State Geologist, Dr. Douglass Houghton, reported on the copper deposits in 1841, causing a rush of prospectors. 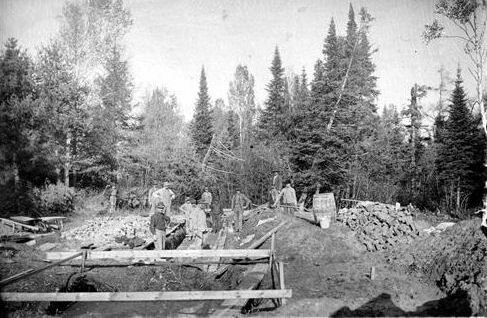 Mining took place along a belt that stretched about 100 miles southwest to northeast through Ontonagon, Houghton, and Keweenaw counties. 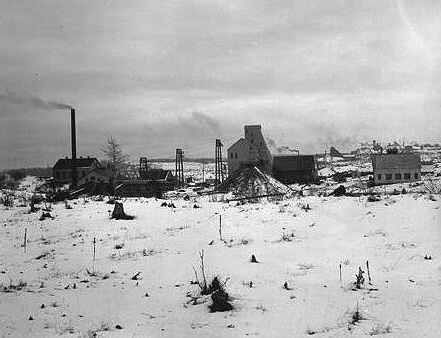 Isle Royale, on the north side of Lake Superior, was extensively explored, and a smelter built, but no comparatively important mining took place there. Commercial copper production began in 1844. 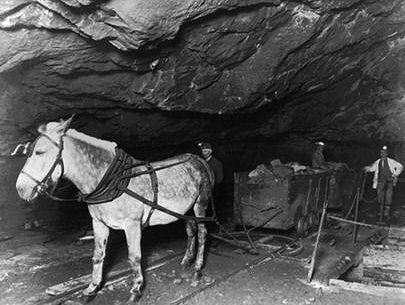 Most early miners began with little knowledge or planning, and few early mines ever saw much production, much less profit. 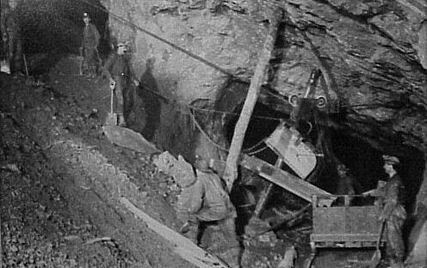 The first successful copper mine, the Cliff Mine, began operations in 1845, and many others quickly followed. These first mines worked copper-filled fissure veins that cut across stratigraphic layers. 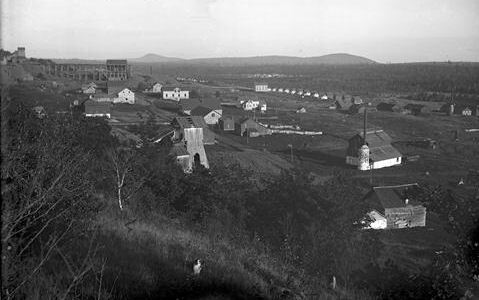 Although the copper-mining region stretched about 100 miles from northeast to southwest, the most productive early mines, working fissure veins, were those at the north end in Keweenaw County (such as the Central, Cliff, and Phoenix mines), or at the south end in Ontonagon County (such as the Minesota Mine). 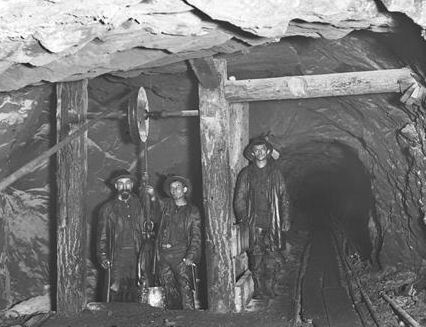 Work began at the Phoenix Mine, in 1846, on the Phoenix Fissure Vein. By the time the mine reached 90' in depth a considerable amount of mass copper and silver had been produced. At the same time the nearby Ashbed Lode was being explored. 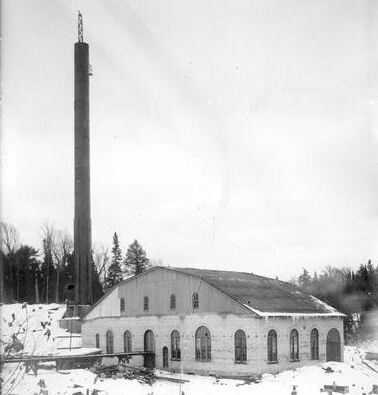 The Phoenix was a successful early copper producer whose property was taken over by the Keweenaw Copper Co. in a consolidation of several old properties in 1889. This consolidation left the Keweenaw Copper Co. with 2,505 acres around the Phoenix Mine and access to five fissure veins. 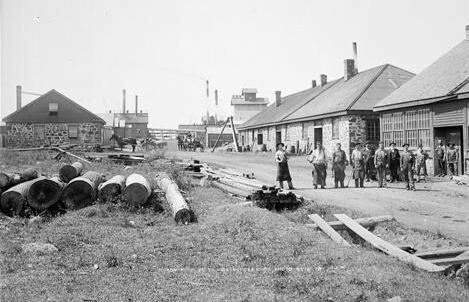 Production ceased on the property in 1917 due to high propduction costs and a shortage of available labor stemming from World War I. 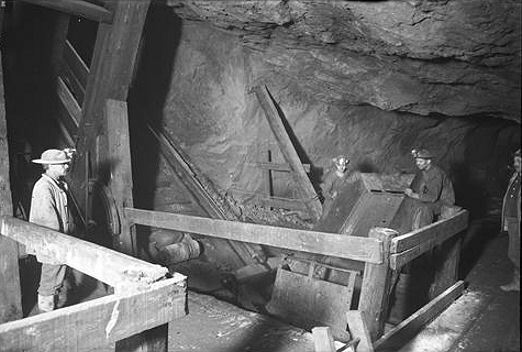 The nearby St. Clair Mine, consisting of 1 shaft, 1 adit, and 5 levels, worked a rich fissure copper deposit just north of the Phoenix Mine. 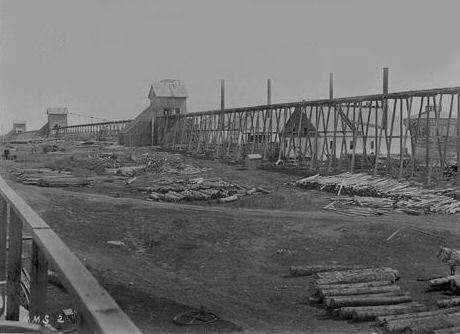 Organized in 1863, then absorbed by the Lake Superior Mining Co. in 1880 and later the Phoenix Consolidated Copper Co. in 1899. 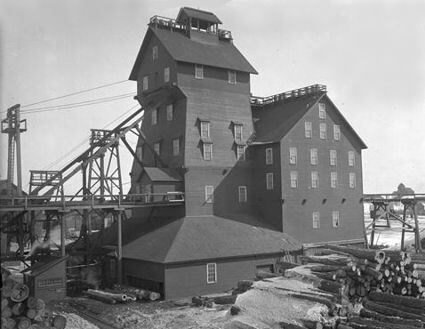 The mine ultimately produced 1 million lbs. of refined copper over its working life. 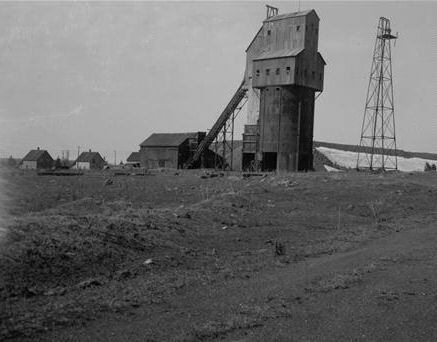 The Centennial Mine consisted of 7 inclined shafts just north of Calumet. 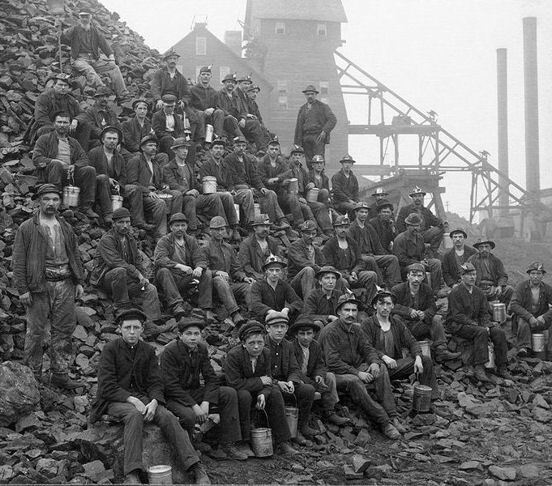 The Schoolcraft Mining Co. was organized in 1863 and worked the Calumet Conglomerate in a small scale operation until it went bankrupt in 1873. 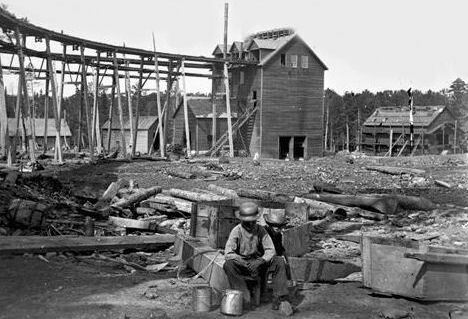 In 1876, the Centennial Mining Co. organized on the previously owned Schoolcraft property and worked the Osceola Amygdaloid until 1896, at which time the company re-organized as the Centennial Copper Co. Work was discontiued on the Calumet Conglomerate and the Osceola Amygdaloid, and two new incline shafts were driven on the Kearsarge Amygdaloid. 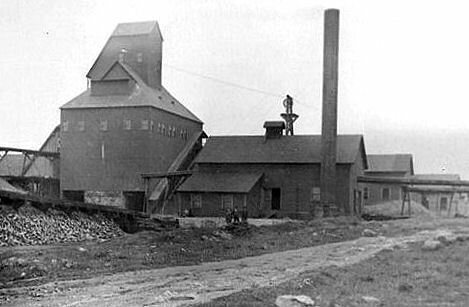 In 1923, Calumet and Hecla took control of the mine and operated it until 1931 when it closed. In 1944, shaft No.2 was reopened and operated until 1966 when the mine closed for good. 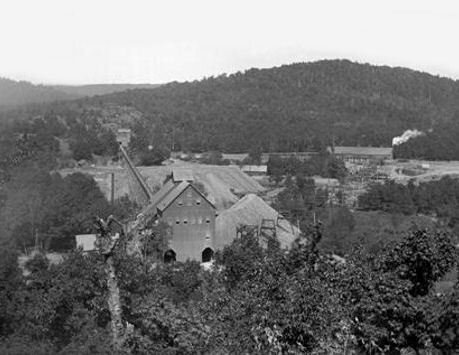 Before C&H took control, the Centennial Mine produced approximately 37 million lbs. of refined copper. The Ahmeek Mining Company was organized in 1880 as an exploration wing of the Seneca Mining Co. to work the Kearsarge Conglomerate lode. The original operations consisted of two shallow shafts, but production was irregular. In 1903, with the discovery of the Kearsarge Amygdaloid lode, the Ahmeek Mining Co became it's own entity. 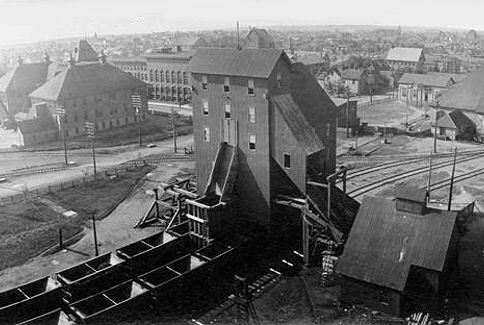 The new workings consisted of four inclined shafts that worked to a depth of 3,000 ft. Two of the shafts, 3 and 4, were unique in that both were serviced from a common shafthouse. In 1923, the company merged with C&H and operations were suspended in 1931. The mine re-opened in 1936 and continued in operation until 1966 when it closed permanently. The Kearsarge Mine consisted of 2 locations; North Kearsarge and South Kearsarge. It was organized as the Kearsarge Mining Co. in 1886 and was later absorbed by the Osceloa Consolidated Mining Co,. in 1897. It worked the Kearsarge Lode and between 1887 and 1897 produced approx. 14.5 million lbs. of refined copper. S. Kearsarge was closed in 1930. N. Kearsarge closed in 1931, then reopened in 1942 and continued until 1956, when it was closed for good. 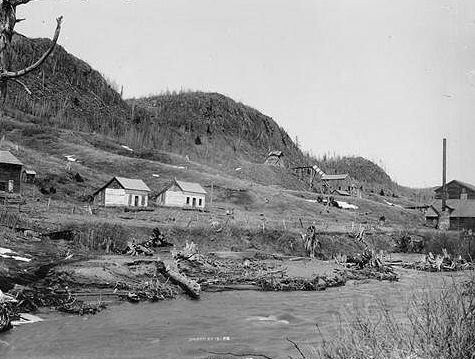 The Wolverine Mine was started as a small scale operation in 1882 and ceased work in 1884. It was reoganized as the Wolverine Copper Mining Co. in 1889 and work began in 1890. It sits between the two Kearsarge mines. 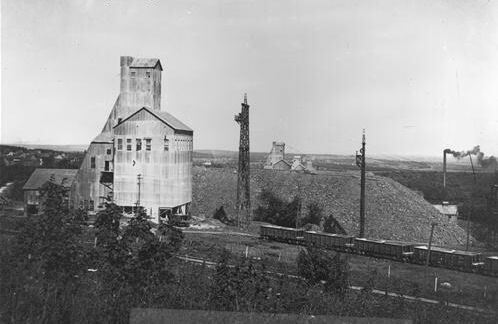 The mine was absorbed by the Mohawk Mining Co. in 1923 and closed permanantly in 1925. 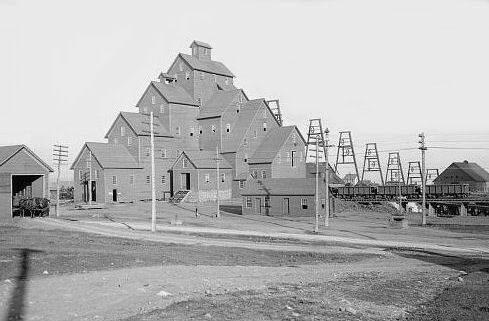 The mine consisted of four shafts; No.1 was abandoned early having missed the lode, No.2 was used to handle men and supplies. No. 3 was bottomed at approx. 4,000 ft. on the incline and No.4 was bottomed at approx. 4,500 ft. on the incline. 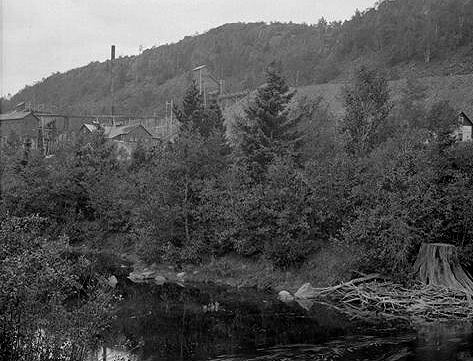 The Mohawk Mining Co. was incorporated in 1898 with Joseph Gay as president, after lumberman Ernest Koch found copper on the property in 1896. Its best known mineral to collectors is mohawkite. 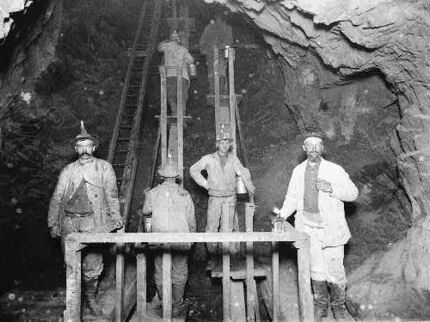 The mine also produced a large amount of native silver., especially in the upper levels. 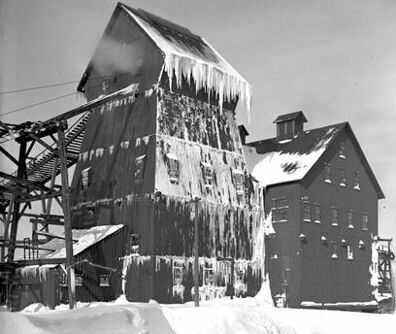 In 1923, the Mohawk Mining Co. took over the Wolverine Copper Mining Co. and the Michigan Copper Mining Co. The Mohawk had 5 shafts numbered 1 through 5 running frim north to south. 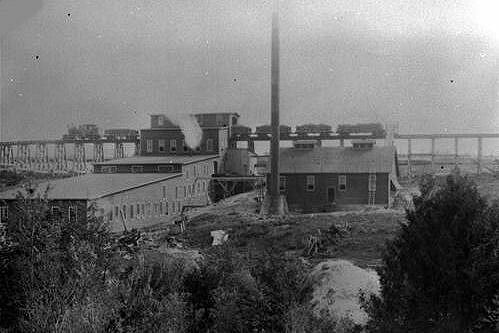 The Mohawk Mining Co. had a mill at Gay, at the mouth of the Tobacco River on Traverse Bay, near the Wolverine mill. 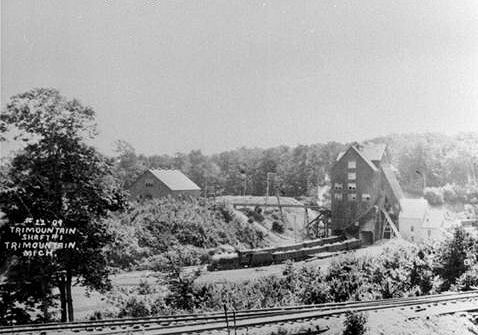 The Gratiot Mine, a subsidiary of C&H lay just to the north of the Mohawk Mine. 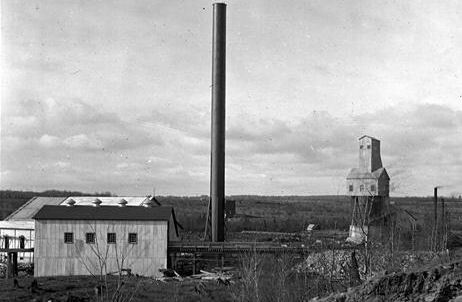 The Allouez Mine consisted of two shafts located near Allouez, just north of Calumet. 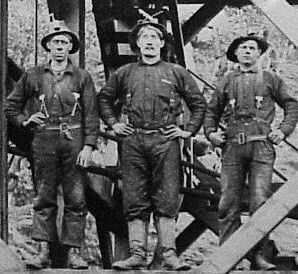 The Allouez Mining Co. was organized in 1859, but work didn't start until 1869 on the Allouez Conglomerate lode. Work continued until 1877, when it was leased on tribute until the company resumed control in 1880. 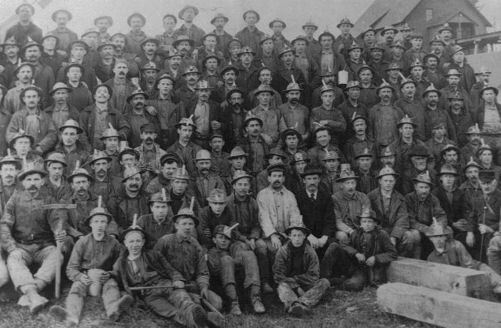 In 1885 the mine was again leased to tributers until 1889 when the company again resumed control. 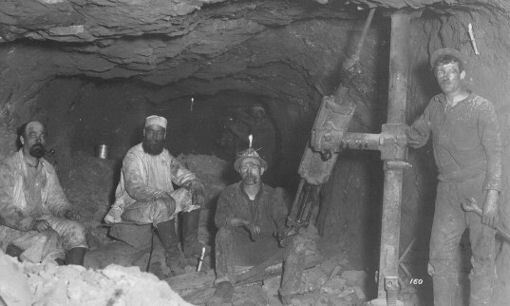 There were three shafts operation in 1906. In that year it was reported that the Allouez was second only to the Wolverine in production from the amygdaloid lodes. 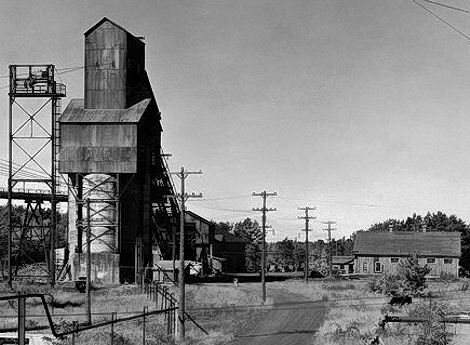 In 1923, the Allouez Mining Co. was absorbed by Calumet & Hecla and mining operations ceased shortly thereafter. 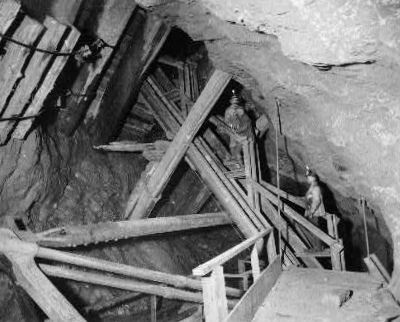 The Osceola Mine consisted of 11 shafts around Calumet. 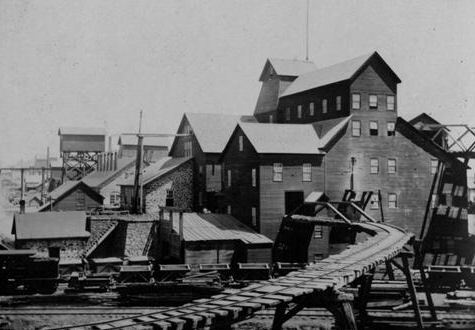 The Osceola Mining Co. was organized in 1873 and first worked the Calumet Conglomerate. In 1877, the Osceola Amygdaloid was discovered. 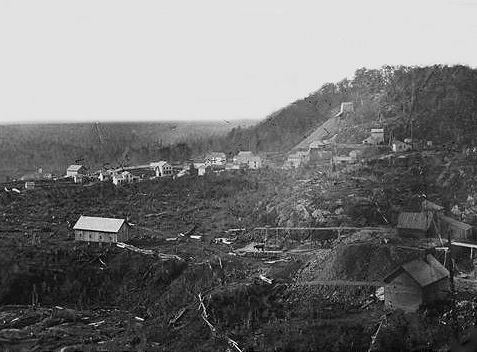 In 1879, it merged with the Opechee Mining Co. to form the Osceola Consolidated Mining Co. 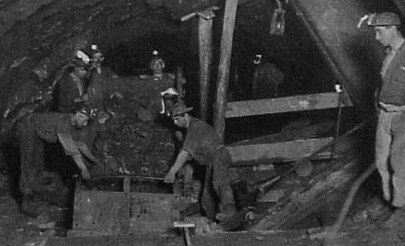 In 1897, the company opened up the Kearsarge Lode by starting the North and South Kearsarge Mines. In 1909, Calumet & Hecla took control of Osceola and later merged it with its operations in 1923. 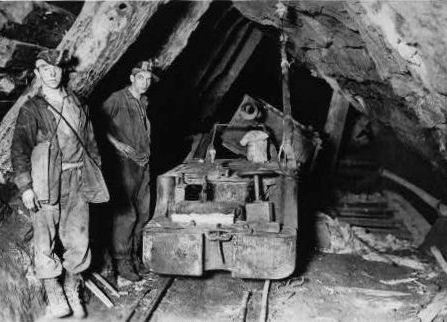 Calumet & Hecla worked the mine until it closed in 1931. 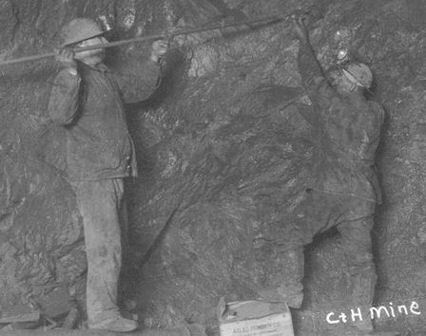 In the 1950's, C&H reopened the mine and worked it until the 1968 labor strike, at which time all C&H operations were closed for good. 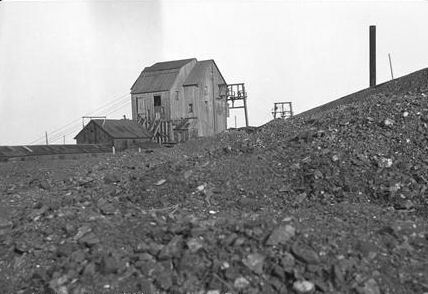 The LaSalle Mine consisted of two shafts just south of Calumet that worked the Kearsarge Lode. 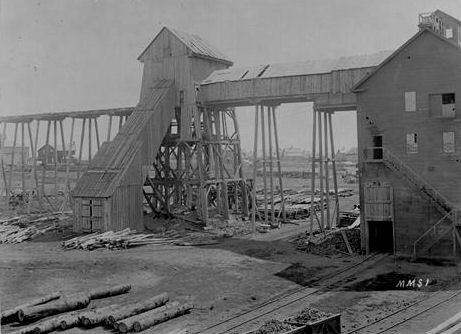 The LaSalle Mining Co. was organized in 1906 and began exploration work on the Kearsarge Lode. In 1909 it was acquired by Calumet & Hecla and then bought the Tecumseh and Caldwell properties in 1910. Actual production was from 1910 until 1920, when the mine closed permanently. The Franklin Mining Co. consisted of two shafts located directly north of the Pewabic Mine. The Franklin Mining Co. organized in 1857 and worked the Pewabic Lode. Because management neglected to purchase the land north and west of their property, it soon became boxed in by the Quincy Mining Co. and by 1880 had exhausted its share of the Pewabic Lode on its property. 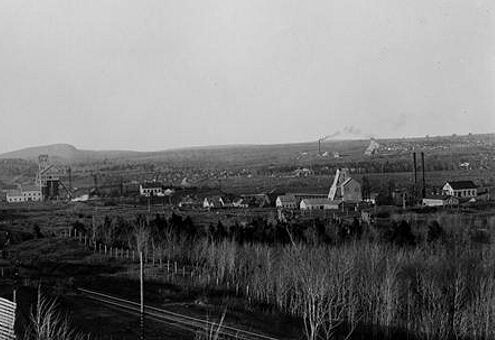 In 1894, the company purchased land originally held by the Albany & Boston Mining Co. approx three miles north of the old Franklin Mine and renamed it Franklin Jr. Mine. 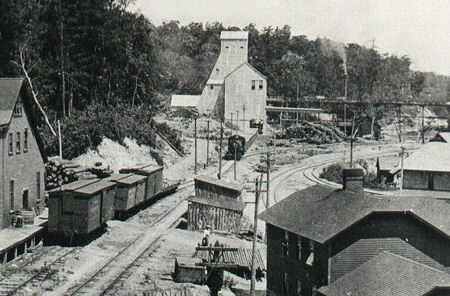 In 1908, the original mine property was sold to Quincy. The Franklin Jr. consisted of five shafts; four in the Pewabic Lode, and one into the Allouez Conglomerate. With the exhaustion of its mineral reserves on Quincy Hill, the Franklin Mining Co. purchased the old Peninsula Mining Co. lands (formerly the Albany & Boston Mining Co.) three miles to the north and renamed it the Franklin Jr. 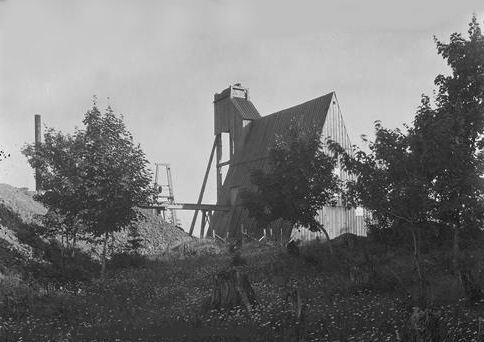 Mine in 1895. 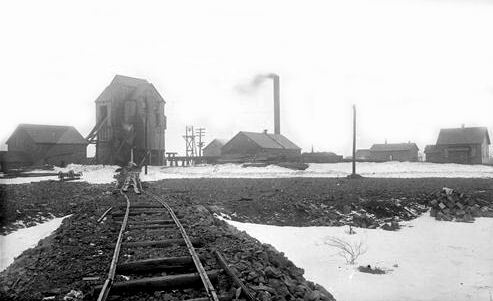 Work was focused solely on the northern extension of the Pewabic Lode and four shafts were driven. By 1900, it was determined that the original Albany & Boston shaft, which was driven into conglomerate, had more potential so the company enlarged the shaft and made it its primary production shaft. 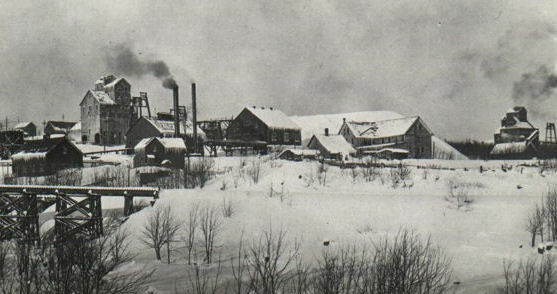 Operations continued until 1920, when the mine was closed. 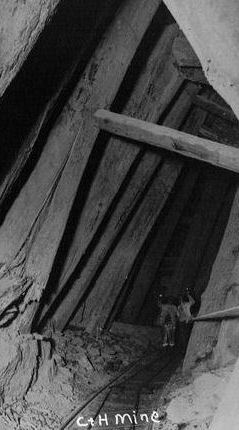 Exploration work was done between 1923 and 1931 on the Kearsarge Lode, but results were unsatisfactory. In 1933, the Franklin Mining Co. dissolved. Production from the original Franklin Mine and Franklin Jr. amounted to approx. 154 million lbs. of refined copper. Most early Michigan mining ventures centered on fissure and mass copper deposits, mainly in Keweenaw County and Ontonagon County. Development of other mineral lodes, particularly the amygdaloid and conglomerate deposits near Houghton, Hancock and what is now Calumet, was delayed due to the larger capital investments needed to profitably mine these poorer ore bodies whose copper was more finely disseminated throughout the rock. Leases for property on the Quincy hill area were mistakenly issued to two ventures, the Portage Mining Company and the Northwestern Mining Company, in the mid-1840s. 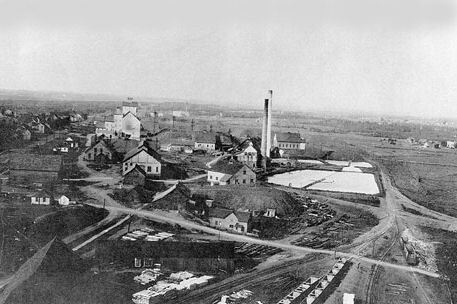 Representatives of the two companies met in Marshall, Michigan on November 17, 1846 and the Quincy Mining Company was organized to resolve the land dispute. Bylaws were adopted on July 26, 1848 and explorations commenced within a year. 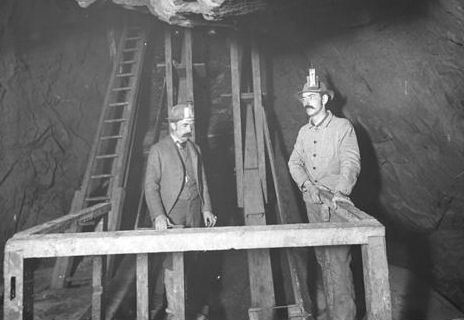 Early mining work was in what was known as the Quincy lode, a poor amygdaloid deposit that never proved profitable. It wasn?t until 1858 that the company transferred their operations to the Pewabic lode, the ore body that would lead to Quincy's greatest successes. The company's first dividend was paid to shareholders on July 31, 1862. Over time, the company purchased additional property along the Pewabic lode, most notably the holdings of the Franklin, Pewabic and Mesnard Mining Companies, and developed shafts that reached an inclined depth of over nine thousand feet (over six thousand feet in vertical depth, or approximately five thousand feet below sea level), making it the deepest mine in the United States, and one of the deepest mines in the world for its time. 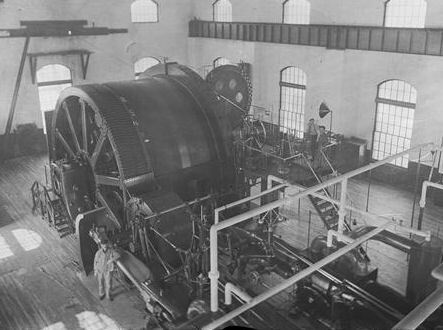 The Quincy operated continuosly from 1848 to 1931. 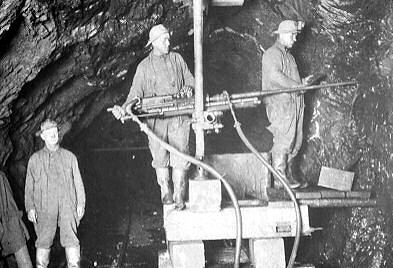 Due to the increasing cost of mining at such great depth and the low price of copper during the depression years, the company ceased its underground mining activity in 1931. 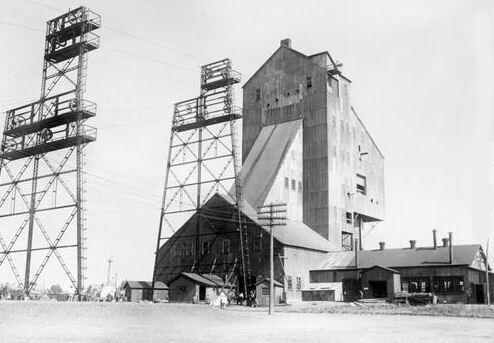 Government regulated copper pricing allowed the mine to open briefly during World War II, but the continuing low price of copper after September 1945 forced the company to confine its operations to reclamation work on older mill tailings and custom smelting work. Before closing on May 6, 1967, the Quincy reclamation plant recovered nearly one hundred million of refined copper during its twenty-two years of operation. 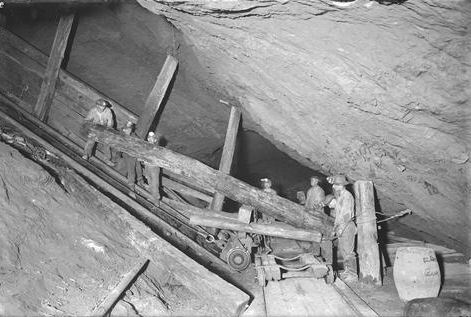 A total of 9 shafts were driven; 2 of these shafts, No.2 and No.6, reached 9,280 ft. deep on the incline (approx. 6,800 ft vertical). No. 7 shaft is unique in that is was driven on a catenary curve. No. 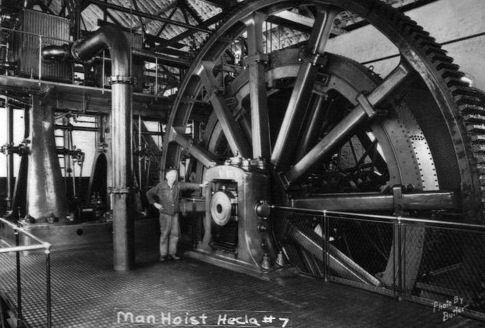 2 shaft housed the largest steam powered hoist in the world, built in 1918. Produced by the Nordberg Mfg. 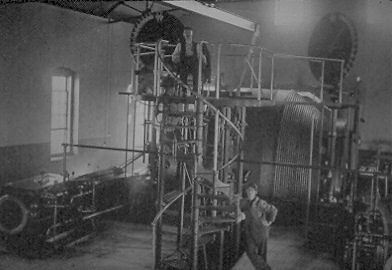 Co., the 30' drum held 10,000' of 1 5/8" wire rope and it could hoist 10 ton skips at the rate of 3,200' per minute. 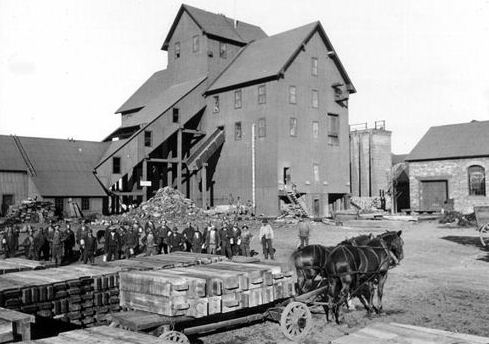 The Quincy mining Co. paid its first dividend in July, 1862. 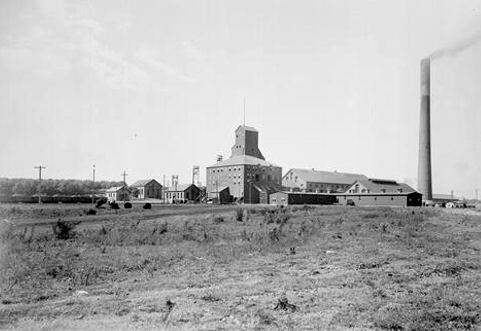 The Quincy Mine was known as "Old Reliable," as the Quincy Mining Company paid a dividend to investors every year from 1868 through 1920.In 99 years of operation, Quincy produced 424,000 tons of native copper from the underground workings. A large amount of native silver was also recovered from the mine. Starting in 1947 and continuing through 1968, another 50,000 tons of copper was recovered from reclamation activities in Torch Lake. 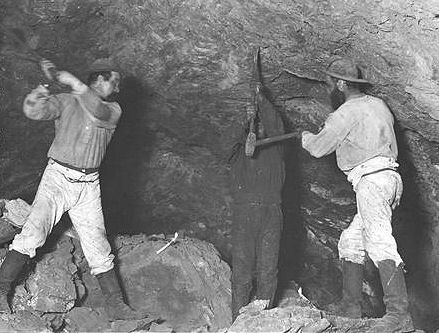 The Minesota fissure vein was discovered in 1847 when prospectors found a six-ton mass of native copper in a pit dug by aboriginal miners. In the pit was growing a hemlock nearly 400 years old by the number of growth rings. 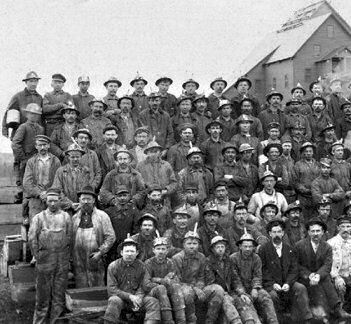 Mining began in 1848, and from 1855 through 1862, the Minesota was one of the most productive copper mines in the United States. The mine had ten shafts, the deepest of which extended to a depth of 1200 feet (366 m). 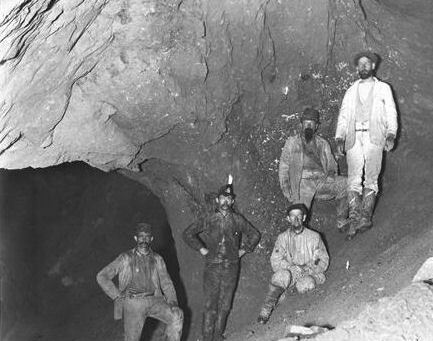 In 1856, miners tunneled into a 527-ton mass of native copper, the second-largest such mass found in the Copper Country. 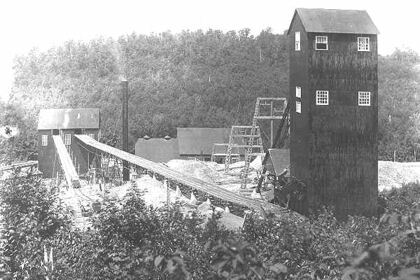 Besides masses of copper recovered through hand-sorting, the mine ran a small stamp mill to recover finer-grained copper in ore that ran 3%. In 1870, the rich massive copper had been worked out, and the depth of the mine shafts had reached the limit of the hoisting equipment. At the same time, the price of copper dropped to $.19 per pound, down from a high of $.55 in 1864. 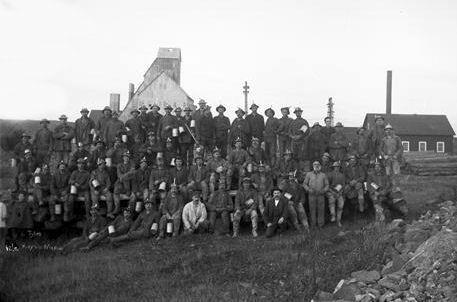 Rather than invest in new equipment and explore for new ore bodies, the company stopped working the mine, and turned it over to tributers, independent miners who paid for the privilege of mining, usually paying a share of the ore they took out. The mine continued to be profitable to tributers, who took out 270 tons of copper in 1870, the same year that the mine closed. In 1876, the company paid a final dividend and closed permanently, having paid a total of $1.82 million in dividends, against $456,000 in assessments. Through the end of the 1800s tributers continued to pick copper out of that part of the old workings that remained above water level. 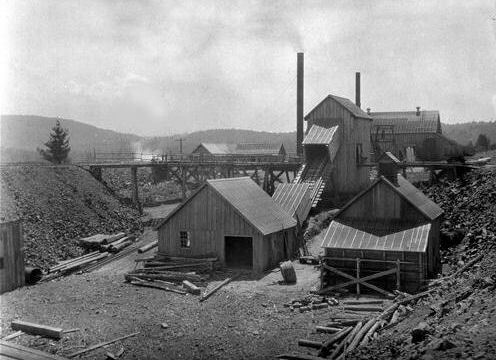 Through 1888, the mine had yielded 17,352 tons of copper, as well as 533 pounds of silver, to tributers. 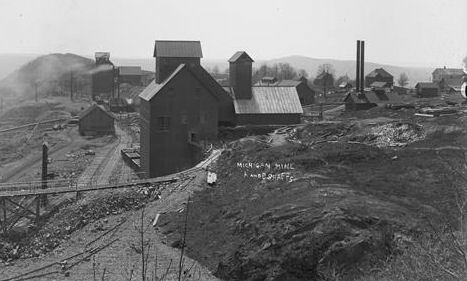 In 1899 the property was acquired by the Michigan Mining Company, which also bought the nearby Rockland and Superior mines. 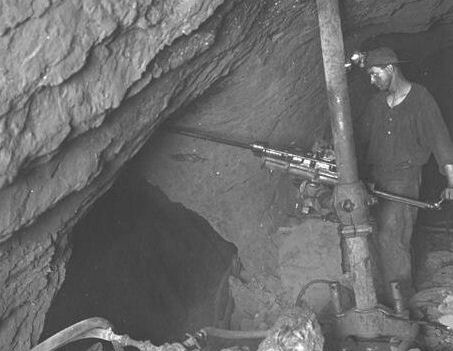 In 1903, the Michigan company opened the Calico amygdaloid, which held 3% copper ore, and outcropped on the Minesota property only 140 feet from the outcrop of the Minesota fissure vein. 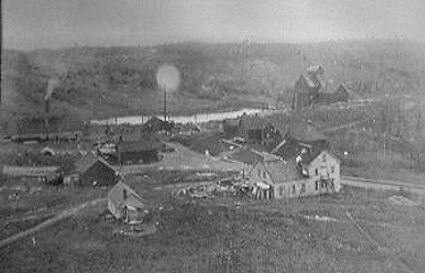 In 1899, the Minesota Mine properties were taken over by the Michigan Copper Mining Co. when it incorporated in January of that year. 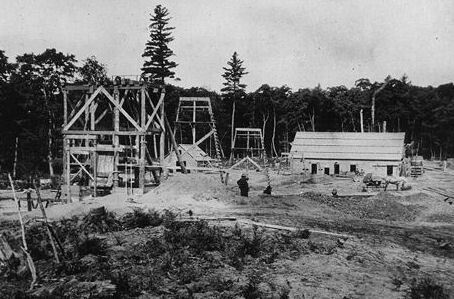 The Michigan Copper Mining Co. holdings consisted of 4,870 acres of mineral land, 1,466 acres of timber land and a 150 acre mill site. This included the sites and of the old Minesota, Superior and Rockland mines. The new workings eventually included A, B, C and E shafts. Lodes worked were the Calico, Evergreen and Ogima. 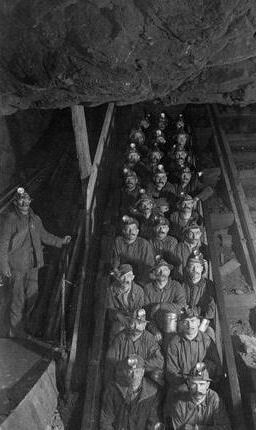 The mine closed in 1910 and was worked by tributers until May of 1913. In July of 1915, work was resumed in E shaft and it was enlarged from 2 to 3 compartments. 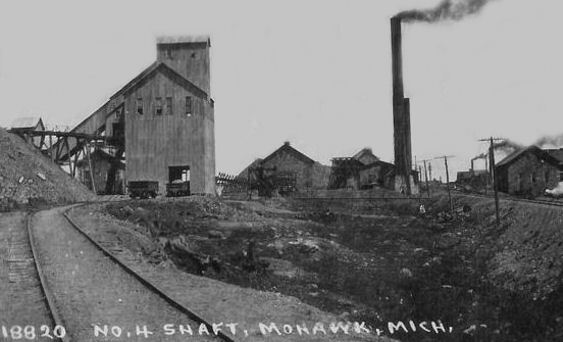 On August 11, 1923 the Michigan Copper Mining Co. was absorbed by the Mohawk Mining Co. 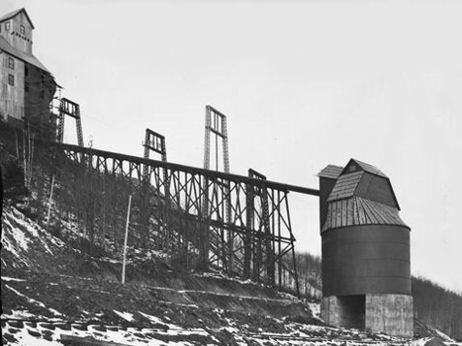 The Hancock Mine consisted of three shafts and was located in the city of Hancock. 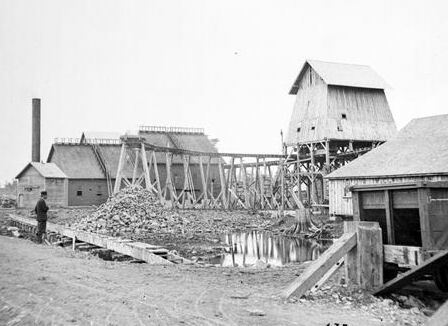 The Hancock Mining Co. was organized in 1859 and worked the Sumner (Pewabic) Lode through three shafts; Shaft No.1 was approx. 1,000 ftin depth. The other two shafts, the Dupuis and the Hill, were about 200 ft. deep. 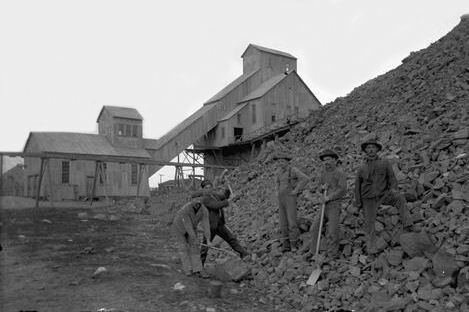 Mining continued until 1872 when the original lease ran out and the mine was sold. 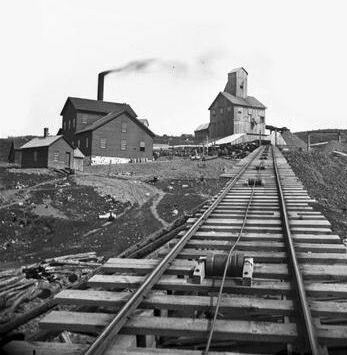 In 1873, the Sumner Mining Co. was organized and worked the mine until 1880, when it was sold to the Hancock Copper Mining Co. 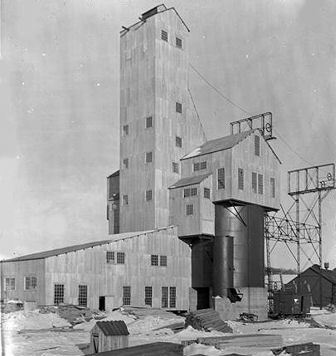 In 1906, the company was reorganized into the Hancock Consolidated Mining Co. and work resumed in the No.1 shaft. Work was also started on a new, larger shaft that would intersect the Pewabic Lode at depth. This shaft bottomed out at 4,100 ft and a crosscut was driven at this depth that intersected with the No.7 Quincy shaft. All work ceased in 1919. The Hancock Mine produced approx. 17.5 million lbs. of refined copper. 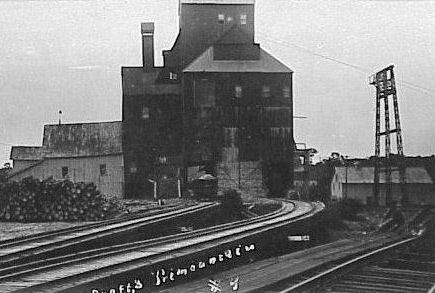 The Winona mine consisted of four shafts located at Winona, south of Houghton. 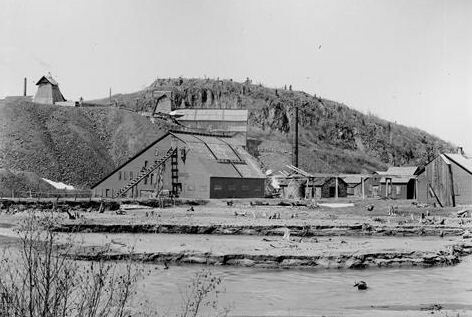 The Winona Mining Co. was originally organized in 1864. 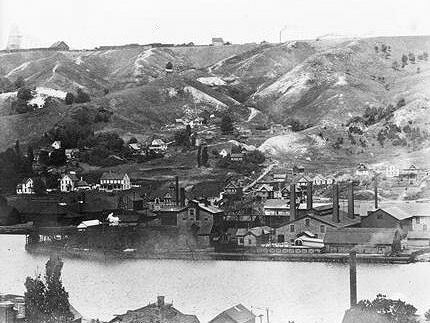 The company was reorganized as the Winona Copper Co. in 1898. 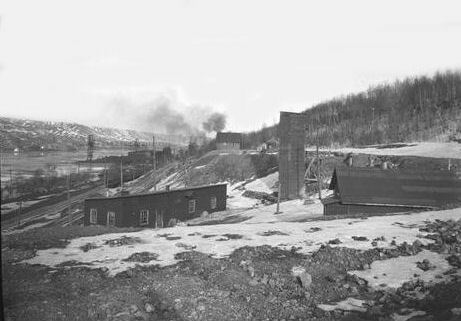 In 1911, the company absorbed the King Philip Mining Co., located adjacent to the Winona Mine. In 1920, the mine closed permanently. The mine produced approx. 17.6 million lbs. of refined copper working the Winona amygdaloid which was thought to be an extension of the Isle Royale Lode. 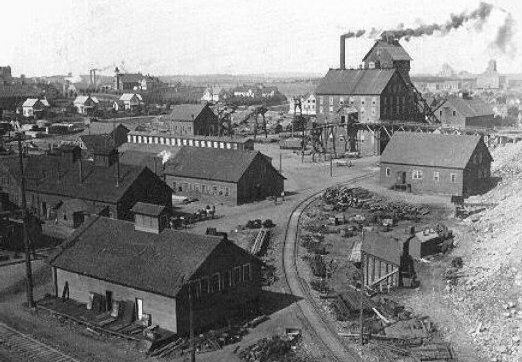 By 1902, Calumet and Hecla had 5,000 employees, and the towns of Calumet (then named Red Jacket), Laurium, and Lake Linden were virtual company towns. 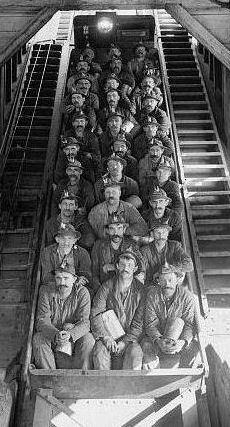 The mining superintendents (called “captains”) were traditionally Cornishmen; the workers were Finns, Poles, Italians, Irish, and other immigrant nationalities. Calumet and Hecla was a pioneer in providing employee benefits. The company built and ran a hospital for employees. It established an Employee Aid Fund for disability and death benefits; each employee paid 50 cents per month, and the company matched the amount. The company maintained employee clubhouses and free libraries, and donated land and funds for churches. However, the all-encompassing company presence also led to charges of “paternalism". 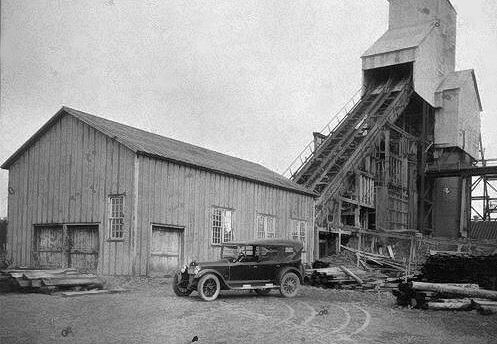 During the Great Depression, copper prices dropped, and as a result most copper mines in the Copper Country closed, including Calumet and Hecla. 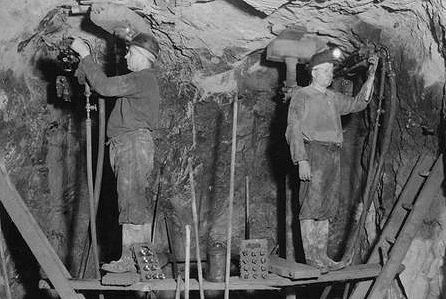 Many mines reopened during World War II, when wartime demand raised the price of copper. After the war copper prices plummeted, and most copper mines closed almost immediately. 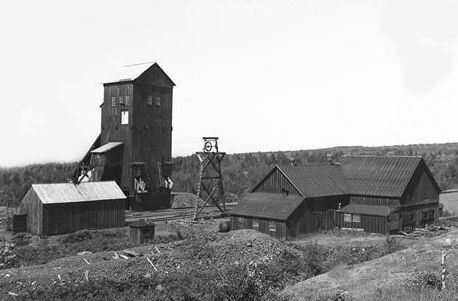 However, Calumet and Hecla was able to stay afloat due to C&H’s practice of acquiring many of the formerly great mines in the Keweenaw during and before the depression, and as a result they outlasted nearly all the other copper mining companies. 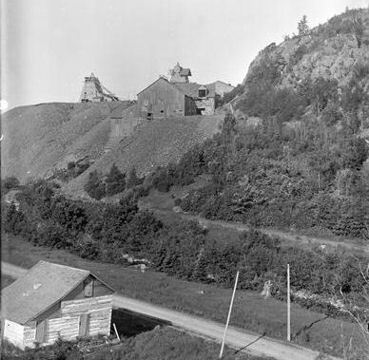 The first dividend of any mine in the Keweenaw was a $60,000 dividend declared on May 21, 1849 by the Cliff. The Cliff mined a fissure vein of native copper in Precambrian conglomerate and basalt beds. The vein was nearly vertical, dipping steeply to the east, and running north-south, nearly perpendicular to the strike of the enclosing beds. The productive part of the vein was below the Greenstone flow, which forms the cliff from which the mine took its name. The mine started by mining only high-grade ore; in 1848, the average grade mined was 26% copper. The average ore grade mined declined over time, and by 1869 was 3% copper, comparable to other copper mines of the time. Some native silver was also recovered; approximately 41,000 total ounces of silver was reported recovered in the years 1846-1852 and 1858-1871. 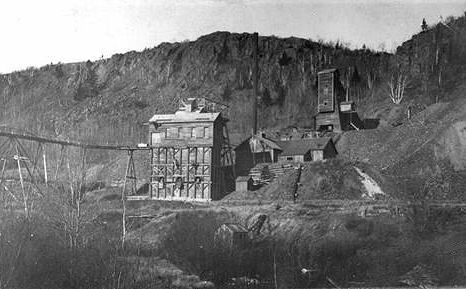 The Pittsburgh and Boston Copper Harbor Mining Company and its successor the Pittsburgh and Boston Mining Company operated the Cliff mine from 1845 to 1870, then sold the property to the Cliff Copper Company in 1871. 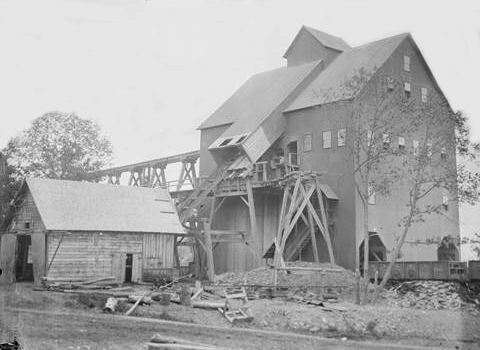 The Cliff Copper Company operated the mine from 1872 to 1878. The combined dividends paid by the companies was $2.5 million. 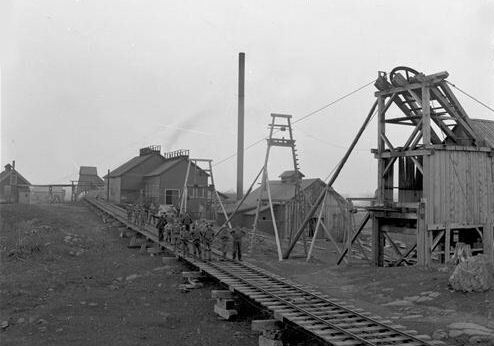 The mine was then leased to tributers, who continued minor copper production through 1887. Total production was 38.2 million pounds of refined copper. 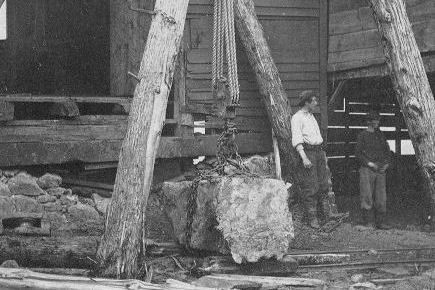 The Tamarack Mining Company bought the Cliff property and did extensive subsurface exploration from 1903 to 1908, but did not find any new ore bodies worth mining. In 1854, John Shawson, an agent of the Cliff Mine, discovered native copper in the bottom of an ancient indian pit several miles from the Cliff Mine. The Central Mining Company was organized in 1854 and mining began in 1856. Between 1856 and the end of the 19th century the company built over 130 structures for the mine and the community of workers. Central was once home to 1200 people. The Central Mine was located on a fissure deposit and consisted of 4 shafts and 2 adits. 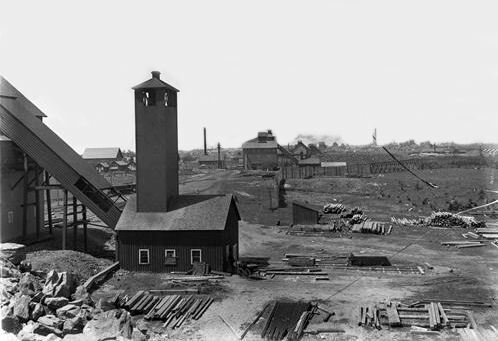 The Central Mining Company was organized in 1854 and had the distinction of being the first Michigan copper mine to turn a profit in its first year of operation. Work continued until 1898 when all operations ceased. It was sold to the Frontenac Copper Company in 1905 and later absorbed by Calumet & Hecla. In its 44 years of operation, the Central Mine produced 52 million lbs. of refined copper and a large amount of silver. The Central Mine paid $1,970,000 in dividends on an initial investment of $100,000. 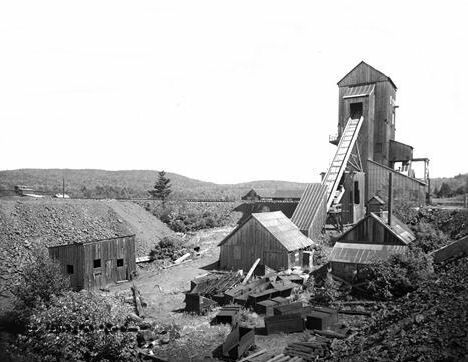 Located 12 miles southwest of Copper Harbor, the Delaware Copper Mine dates from 1847-1887. Eight million pounds of copper were removed from the five shafts that reached a depth of 1,400 feet with ten levels. The Delaware had a tempestuous career of organization, operation, shutdown and reorganization for 40 years. Known originally as the Northwest Mine, it opened on a fissure deposit in 1847 and produced more than 500,000 lbs of copper over three years, but it cost more to produce the copper than it sold for. In 1864, Edwin J. Hulbert discovered a copper-bearing section of what was to become known as the Calumet Conglomerate. The find was in Houghton County, Michigan, between the rich Cliff mine to the northeast, and the copper mines of Portage Lake to the southwest. Hulbert formed the Calumet Company in 1865, with Boston investors. The company spun off the Hecla Company the following year, and assigned shares in the new company to Calumet shareholders.Hulbert was a major shareholder in both companies, and was in charge of mine operations. But despite the rich ore, Hulbert did not have the practical knowledge to dig out the ore, crush it, and concentrate it. 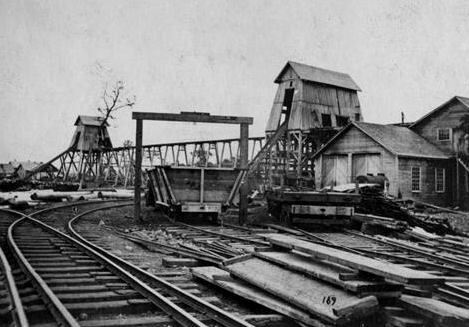 Frustrated with Hulbert’s lack of success, the company sent Alexander Agassiz, son of famed geologist Louis Agassiz to Michigan to run the mine. 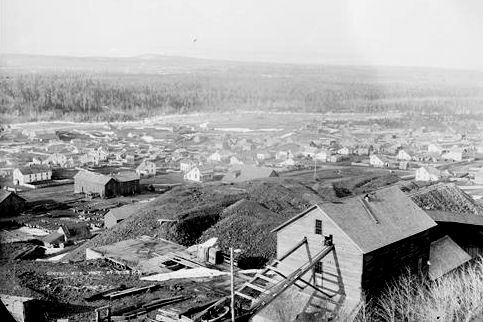 The town of Red Jacket (now named Calumet) formed next to the mine. 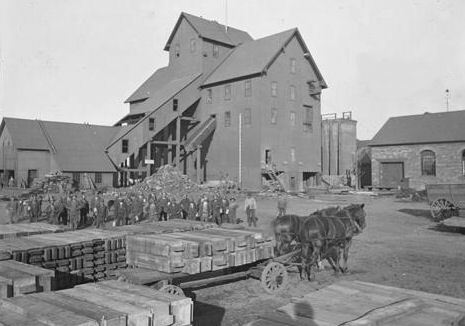 Under Agassiz’ expert management, the Hecla Company paid its first dividend in 1868, and the Calumet Company began paying dividends in 1869. The two companies merged in May 1871 to form the Calumet & Hecla Mining Company, with Quincy Adams Shaw as its first president. In August of that year, Shaw "retired" to the board of directors and Agassiz became president, a position he held until his death. 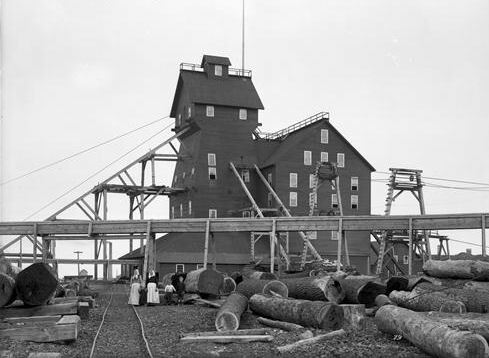 Calumet and Hecla built itself into a copper mining colossus. From 1868 through 1886, it was the leading copper producer in the United States, and from 1869 through 1876, the leading copper producer in the world. 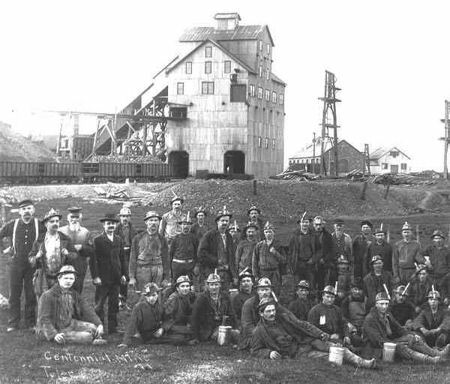 From 1871 through 1880, Calumet and Hecla turned out more than half the copper produced in the United States. 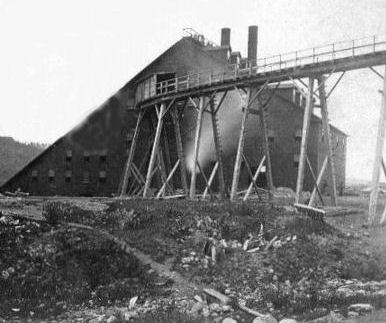 In each year, save one, between 1870 and 1901, Calumet and Hecla mined most of the copper produced in the Michigan copper district. By 1901 the underground mining complex had 16 shafts. 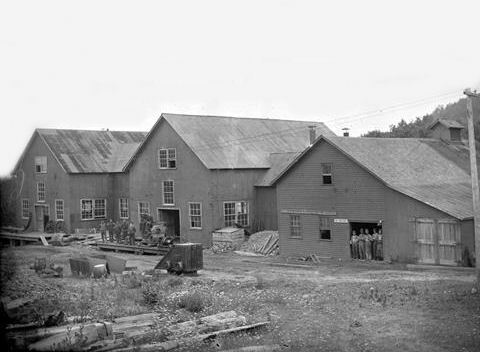 The company operated a large ore treatment facility at Lake Linden, Michigan. 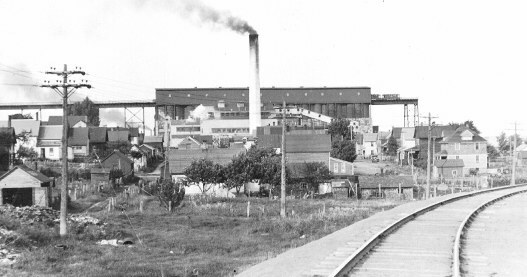 The first smelter was built at Hancock, Michigan, but in 1887, the company moved its smelting to the new smelter at Lake Linden. 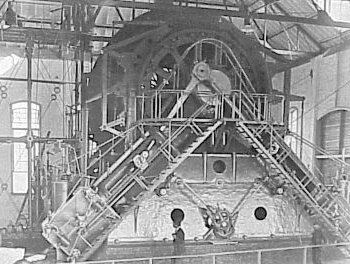 The company later built a second smelter at Buffalo, New York, which took advantage of the cheap electricity generated from Niagara Falls to electrolytically refine copper. Electrolytic refining had the advantage that it separated out the silver from the copper. 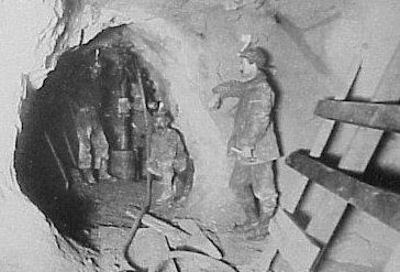 Annual copper production from the mines peaked in 1906 at 100 million pounds, then declined in response to lower prices to 67 million pounds by 1912. 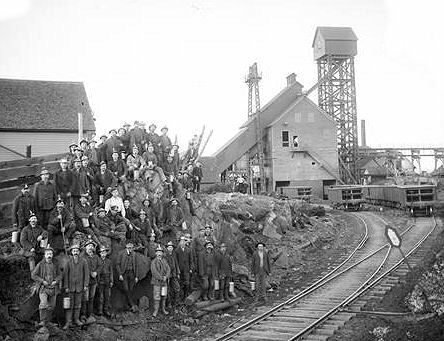 Output dropped to 46 million pounds of refined copper in the strike year of 1913, but rebounded due to high copper prices during World War I to 77 million pounds in 1917. 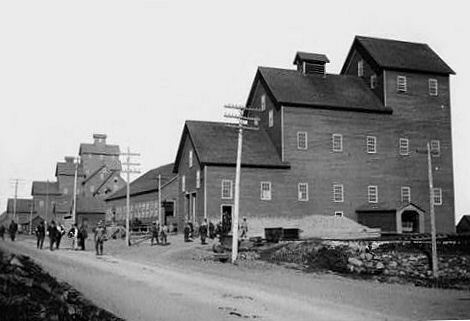 The boost in production was attained partly by purchase of the Tamarack Mining Company in 1917. But copper prices fell drastically after the war, and in 1921 copper production fell to 15 million pounds as the company shut the Osceola (amygdaloid) mine in 1920, and shut down mining on the Calumet conglomerate in April 1921. Copper production rebounded in 1922, and rose steadily through the 1920s. 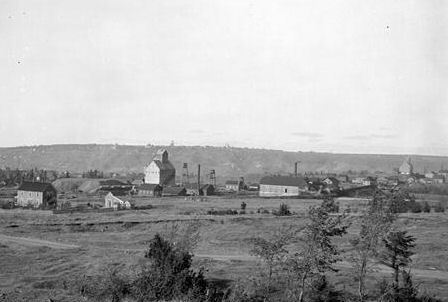 Calumet and Hecla grew in the 1920s by buying and merging with neighboring copper mines. 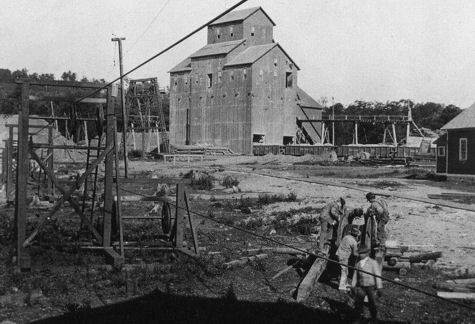 In 1923, Calumet and Hecla merged with the Ahmeek, Allouez, and Centennial mining companies. The combined entity was renamed the Calumet and Hecla Consolidated Copper Company. The merged company essentially controlled all the operating copper mines north of Hancock, Michigan. 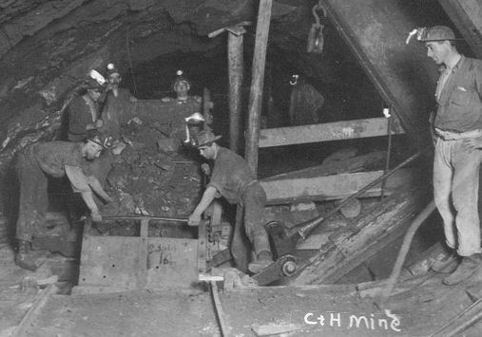 During the Great Depression, copper prices dropped, and as a result most copper mines in the Copper Country closed, including Calumet and Hecla. 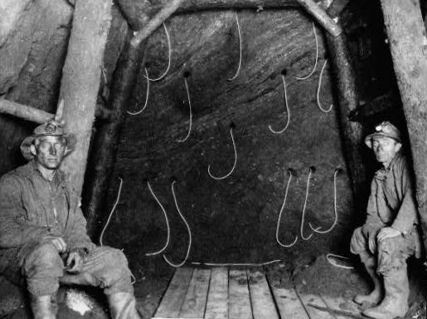 Many mines reopened during World War II, when wartime demand raised the price of copper. After the war copper prices plummeted, and most copper mines closed almost immediately. 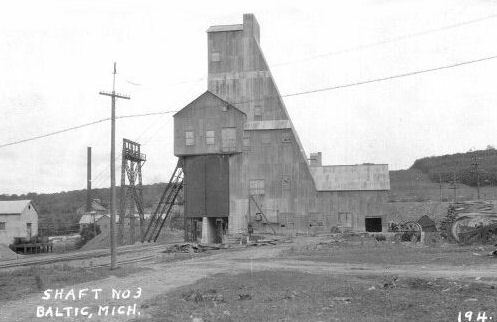 However, Calumet and Hecla was able to stay afloat due to C&H’s practice of acquiring many of the formerly great mines in the Keweenaw during and before the depression, and as a result outlasted nearly all other mining companies. The company branched into other minerals after World War II. 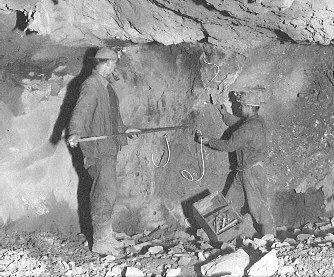 C&H geologists drilled into a major lead-zinc ore body in Lafayette County southern Wisconsin in 1947. Ore minerals were galena, sphalerite, calcite, and marcasite. 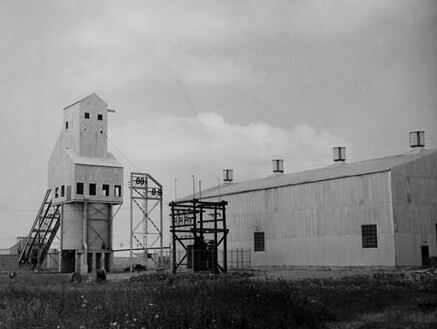 The mine, named the Calumet & Hecla mine, opened in 1949. 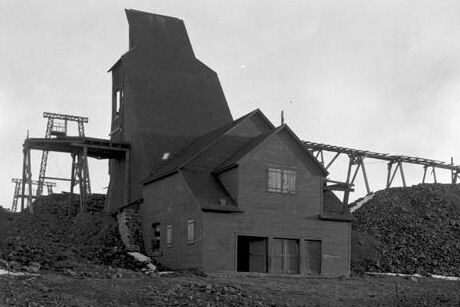 C&H sold the mine to the Eagle Pitcher Co. in 1954. The company also diversified into copper-based products, including a copper tube manufacturing business and fertilizers. 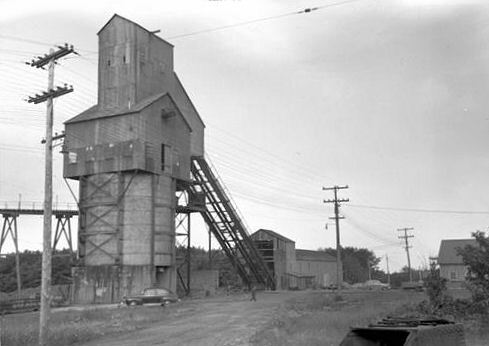 Calumet and Hecla opened the Kingston mine in 1965, the first new native copper mine opened in more than 30 years. By 1967, the company was operating six mines in the region. However, the company by this point was not even able to produce enough copper for its internal uses. Universal Oil Products (U.O.P.) bought Calumet and Hecla in April 1968. But in August of that same year the more than one thousand Calumet and Hecla employees went on strike. The last of its copper mines shut down, and as labor and management were unable to agree, the company shut down the dewatering pumps in 1970. The mines have remained idle ever since, and most are permanently capped. By the turn of the century it had become clear that the great Calumet & Hecla had possession of the only profitable section of the Calumet Conglomerate Lode in existence. 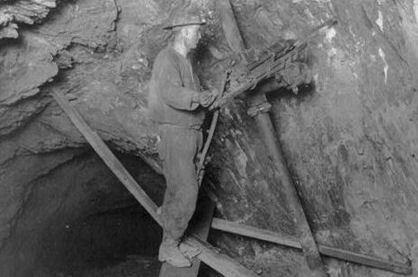 Several attempts to mine the northern and southern extensions of the lode had proved futile, and no other lode had yet been discovered that was comparable in richness. It seemed C&H had the great Calumet Conglomerate lode all to itself - until the arrival of the Tamarack Mine. After his failure to profitably mine the Calumet Conglomerate at Osceola, the superintendent of the Osceola Mine, John Daniell, came up with a brilliant plan that appeared to verge on lunacy. 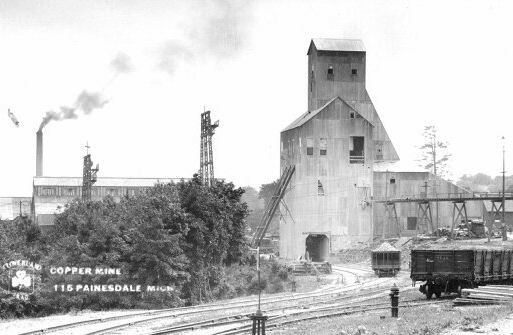 Because copper lodes dipped down into the earth at an angle, Daniell was sure that at its deeper levels, the Calumet Conglomerate would extend past C&H’s land holdings. 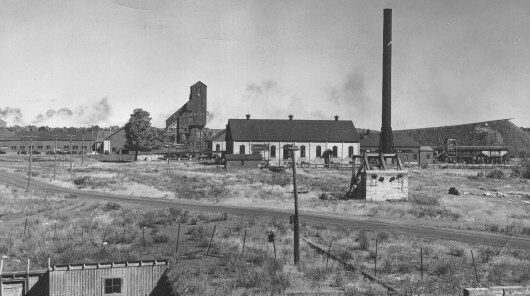 His plan was to sink deep vertical shafts just to the west of C&H property which would intersect with the Calumet Conglomerate lode a half mile down into the earth. Daniell’s would essentially mine the conglomerate from right under C&H’s nose. 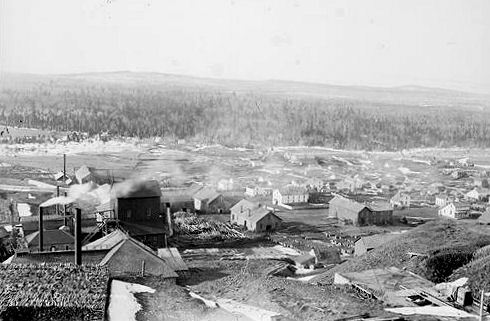 Daniell’s plan was put to the test with the formation of the Tamarack Mine in 1882. The new mine sank a total of five shafts along C&H’s western border with an average depth of over 4500 feet - its deepest shaft dropping over a mile straight down. Like Daniell hypothesized, these shafts crossed the Calumet Conglomerate Lode at depths especiallyt rich in copper. 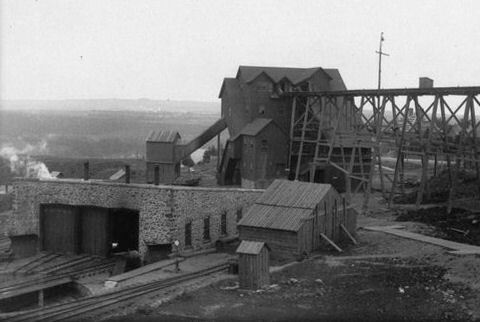 The mine worked at a profit from 1887 to 1907. 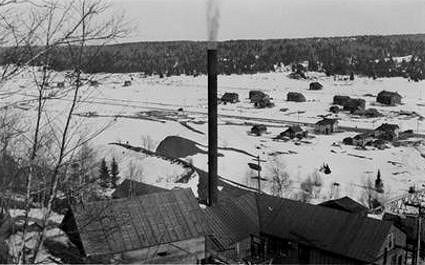 In 1917, Tamarack sold the property to Calumet & Hecla for $3 million, and the company was dissolved. In 35 years of operation, Tamarack produced 389,215,899 lbs. of refined copper, making Tamarack the second largest producer from the Calumet Conglomerate. 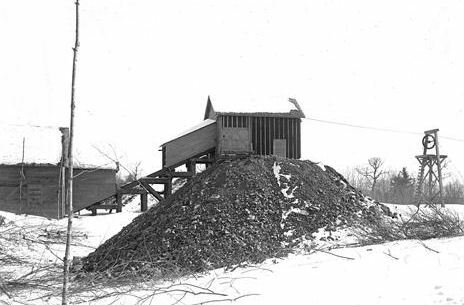 The nearby Victoria Mine consisted of several shafts near the town of Victoria, MI. 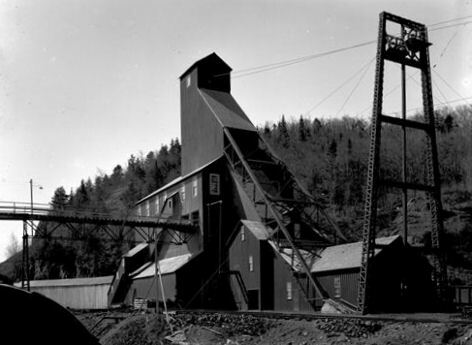 The mine first opened, in 1849, as the Cushin Mine and was re-organized as part of the Forest Mining Co. in 1850. 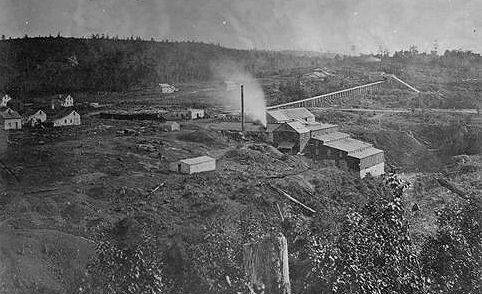 In 1852, the Glenn Mining Co. was separated from the Forest mining Co., then reorganized in 1858 as the Victoria Mining Co. 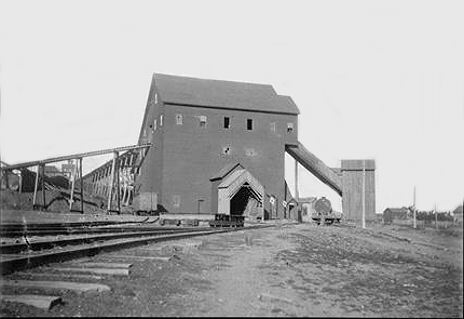 The mine worked sporadically until 1899, when the company was re-organized as the Victoria Copper Mining Co. This new company included the old Victoria, Glenn, Shirley, Sylvan, Oneida, and Arctic mining companies. Operations ran from 1904 to 1921, when the company closed permanently. 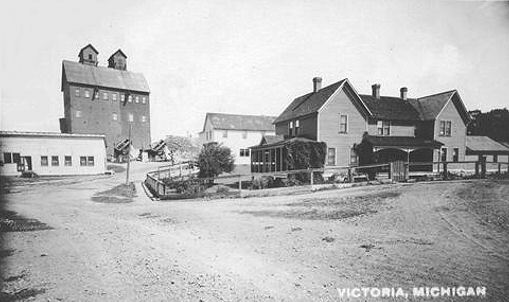 Between 1850 and 1921, the Victoria Mines produced approx. 20 million lbs. of refined copper. The mine was unique in that everything ran on compressed air made in the mine's own underground and underwater compressor system. Another nearby mine, the Adventure, consisted of three shafts and at least one adit. It is located just south of the town of Greenland, about 15 miles SE of Ontonagon. The Adventure Mining Co. organized in 1850. In 1858 it purchased the Merchants Co. property. In 1870 the company was sold and reorganized under the same name. In 1898, the company was sold again and reorganized under the Adventure Consolidated Copper Co. This consolidation included the Adventure, Hilton, and Knowlton mines. The company suspended all operation in October of 1917. The mine produced approx. 11 million lbs. of refined copper. 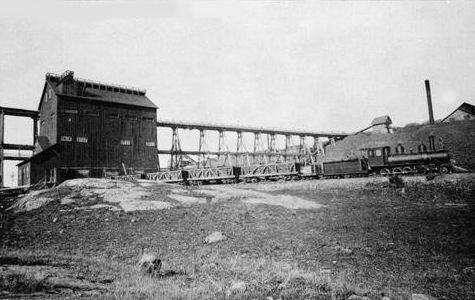 The Mass Mining Co. was organized in 1856 and worked 3 shafts sporadically until 1888, when the mining operations ceased. 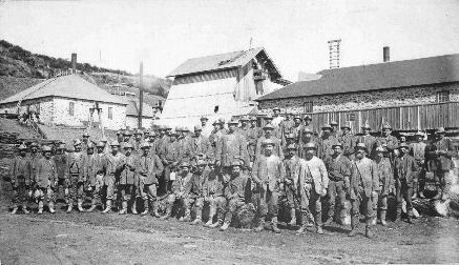 The Mass Mine was consolidated into the Mass Consolidated Mining Company in 1899, along with the Ridge, Evergreen and Ogima mines and the Merimac and Hazard prospects, which had a total combined production of 11,131,023 lbs of copper prior to consolidation. The property carried six of the seven amygdaloid veins in the Evergreen belt. Mass Consolidated developed four shafts, A through D on the Mass property, 5 shafts on the Mayflower property, and 5 shafts on the Old Colony property. When production ended an additional 35 million lbs. of copper had been produced. 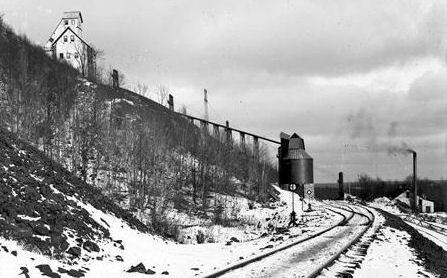 After struggling along for 10 years with an annual deficit, the Northwest mine was reorganized as the Pennsylvania. 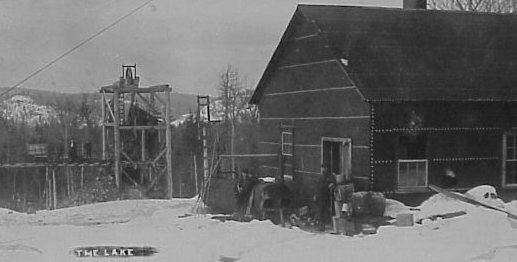 Now working the bedded deposits, rather than the fissure deposits, prospects looked so good that a new stamp mill was erected on Lac LaBelle, 5 miles from the mine. 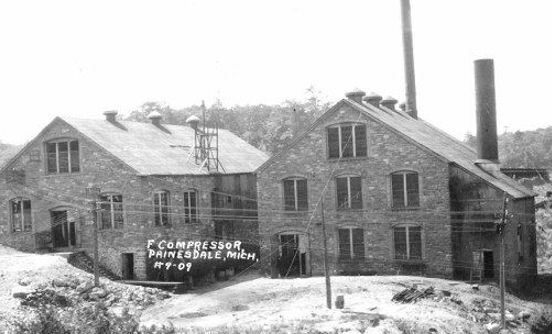 A second company was formed, called the Delaware, and also built a stamp mill on Lac LaBelle. Even with the high price of copper during the Civil War the companies could not turn a profit. In 1876 there was a reorganization and the combined properties renamed the Delaware Copper Mining Company. The new company had no better luck than the old one and suffered the same financial fate. After five years of losing money a new conglomerate lode was discovered under the greenstone. A new company, called the Conglomerate, was formed. 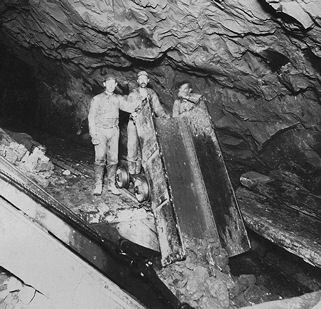 Although the lode was large, it was deficient in copper content and much of the fine copper was lost in the recovery process. 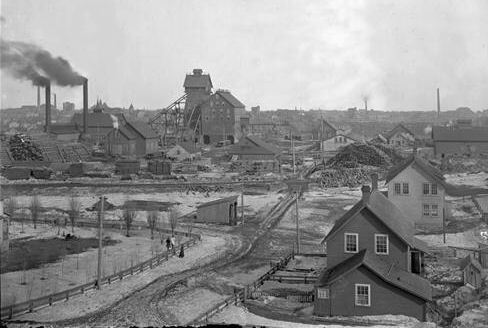 The name was changed several times but no further development took place until Calumet and Hecla took over the property under the name of the Manitou Mining Company. 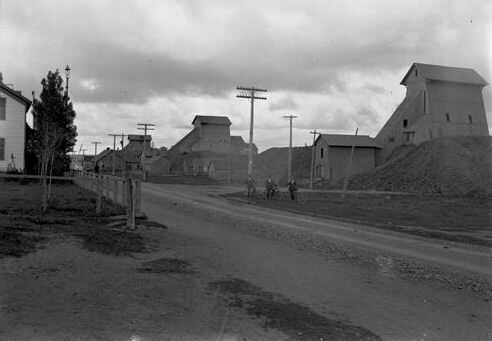 The Superior Mining Co. organized in 1904. It consisted of two shafts that worked the Baltic lode, the same as the Baltic, Trimountain and Champion mines. 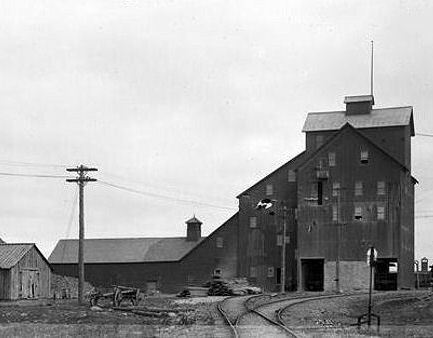 The mine closed in 1920, and was purchased by Calumet & Hecla in 1925. No further work was conducted after that time. Over 16 years of operation, the Superior Mine produced approx. 30 million lbs. of refined copper. 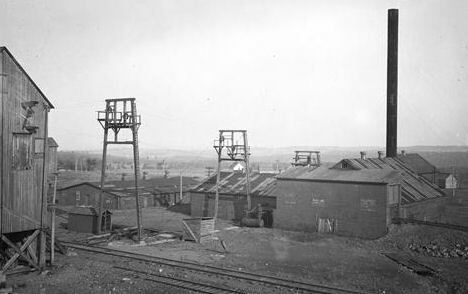 The Champion Mine consisted of four shafts in the town of Painesdale, south of Houghton. 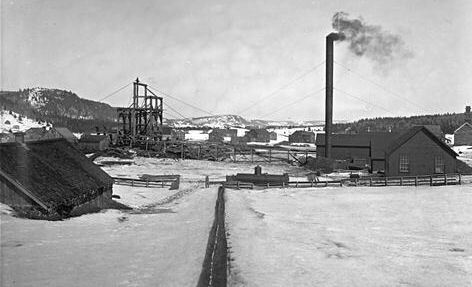 The Champion Mining Co. was organized in 1899 and came under control of the Copper Range Consolidated Co. in 1901. 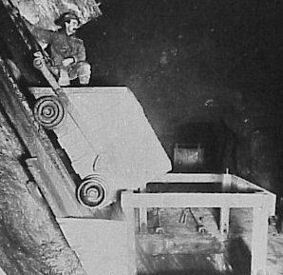 By the 1930's the mine was working the 48th level in No.4 shaft, 4,800 ft. from the surface on the incline. This shaft was later extended to the 56th level, approx. 5,500 ft. from the surface on the incline. 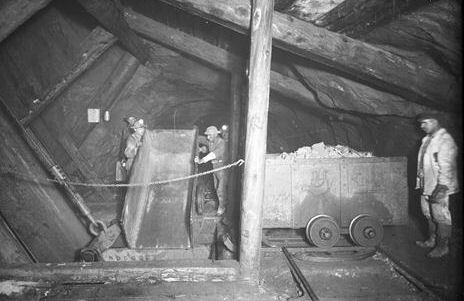 In 1945, the mine closed to remove equipment from below the 48th level to abandon that section of the mine. 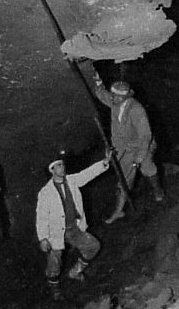 In 1948, the mine reopened with work on the 18th level of shaft No.4. In 1954, No.3 was reopened on the 18th and 12th levels. 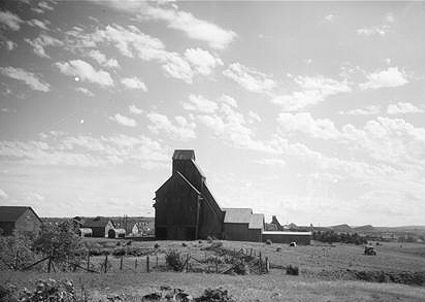 The mine closed in 1967. 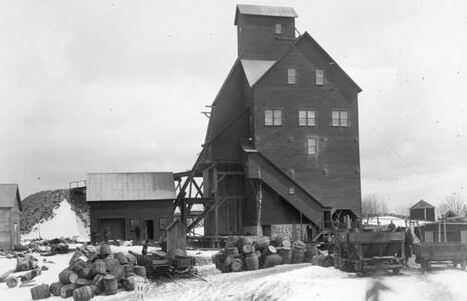 The Trimountain Mine consisted of 4 shafts near the community of Trimountain. 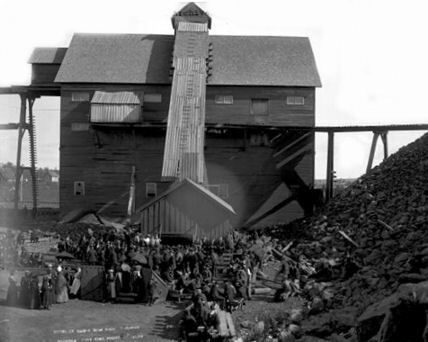 The Trimountain Mining Co. was organized in 1899 and worked a portion of the Baltic Lode. Shafts at this mine were some of the steepest in the Keweenaw at 70 degrees from horizontal to follow the ore bodies. 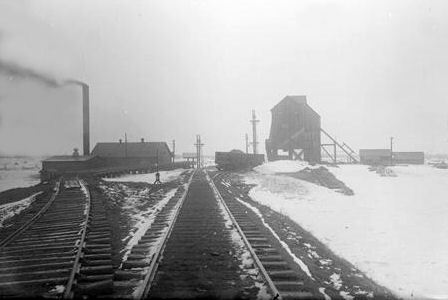 The mine operated under the Trimountain Mining Co. until 1923, when the company was dissolved. 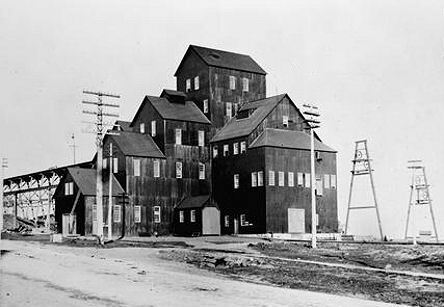 Copper Range Consolidated Co. took over operations in 1925 and operated the mine until 1930 when it was closed permanantly. The Trimountain Mine produced approx. 144 million lbs. of refined copper over its lifetime. The Copper Range Company was a major copper mining company in the Copper Country of Michigan, It began as a holding company specializing in shares in the copper mines south of Houghton, Michigan, and was dissolved in 1915 with all assets transferred to the Copper Range Co. Copper Range controlled through share ownership the Copper Range Railroad and the Baltic Mining Company. 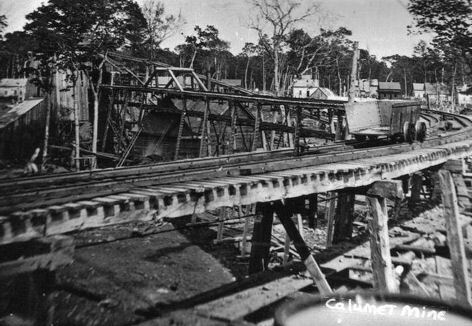 The Copper Range Railroad served much of the southern part of the Copper Country, and the Baltic Mining Company owned the Baltic mine at Baltic, Michigan. In 1901, the Copper Range Company, prevented by Michigan law from issuing more shares of stock, incorporated a new entity in New Jersey, the Copper Range Consolidated Company. Copper Range Consolidated used its new shares to get control of more copper mining companies by stock swaps. It gained control of half the stock in the Champion mine at Painesdale. The company swapped shares to acquire nearly all the shares of the Trimountain mine, at Trimountain, which had been mis-managed by its principals, Thomas W. Lawson and Albert C. Burrage. In 1925, the Atlantic Mining Co. was dissolved and its assets acquired by the Copper Range Co. 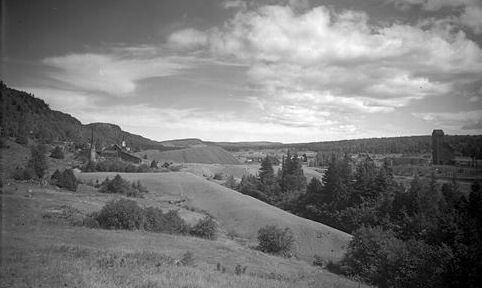 In 1926, Copper Range acquired the mineral lands of the Bohemia Mining Co. In this way, Copper Range came to own, or control, nearly all the copper mines south of Portage Lake, just as the Calumet and Hecla Mining Company owned nearly all the mines north of Portage Lake. The Copper Range properties mined copper in the form of native copper in strataform ore bodies in the flow tops of Precambrian basalt lava flows. The ore horizons are known locally as amygdaloids, after the amygdaloidal-shaped gas bubbles in the lavas that filled with minerals. 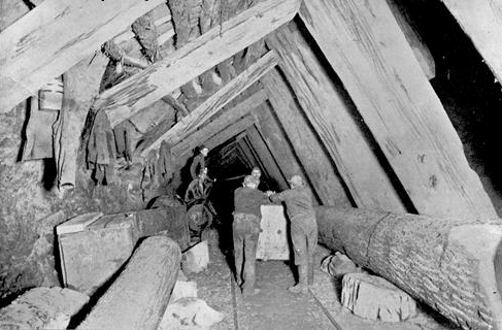 Exploration work was started in 1882 and successfully discovered the Baltic Lode.The Baltic Mine first begun its life in 1897, spending two decades as an independent mine before being absorbed by Copper Range in 1917. The first shaft, sunk along the Baltic Lode was sunk at the wrong angle, and quickly passed through the lode and into trap rock. 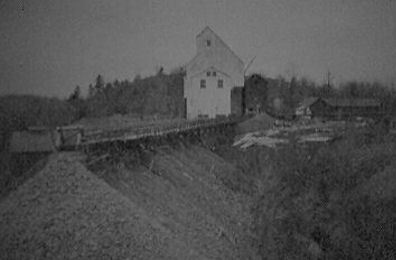 It turned out that the Baltic was the steepest lode in the Keweenaw, sloping into the earth at an angle which was nearly vertical, 73º in fact. Three new shafts were quickly sunk to the north, these being the No. 3, No. 4 and No. 5 shafts. It wasn’t until 1906 that the mine’s southern most shaft was started to tap the riches missed by the abandoned No. 1, a shaft known today as the No. 2. This single shaft would go on to furnish half of Baltic’s total production. The Baltic Mine produced 276 million lbs of refined copper over a 34 year period. 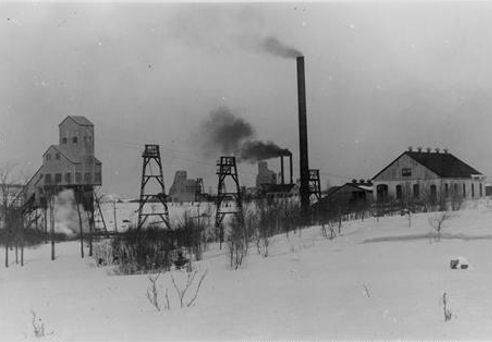 The Atlantic Mine consisted of six shafts near the community of Atlantic Mine, south of Houghton. Following the failure of the South Pewabic and Adams Mining Co's. 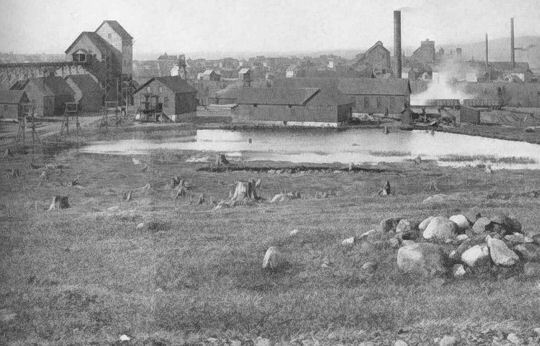 in 1872, the Atlantic Mining Co. was organized. In this takeover,The Atlantic Mine received three shafts from the Pewabic, one shaft from the Adams, a surface palnt, and several other mining items. The mine worked the Atlantic amygdaloid lode through six shafts that were lettered A through F, with the deepest shaft reaching approx. 3,000 ft. on the incline. 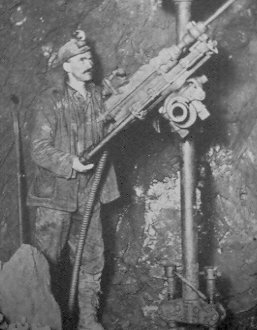 Operations were steady until 1904 when cave-ins became a problem, causing dangerous "air blasts" underground and small ground tremors on the surface. 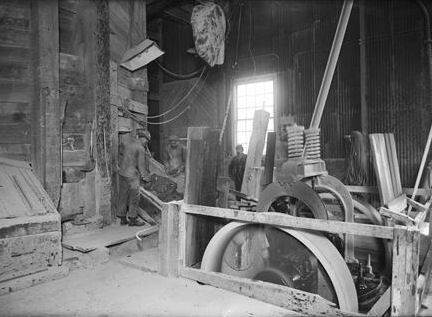 By 1905, the shafts had "drawn-in" so much that skips could not operate without scraping the hanging wall a short distance in. When the subsidence finally ended in 1906, the shafts were so narrow that the mine was abandoned. It is estimated that approx. 6 million tons of ore remain in the mine. The Atlantic Mine produced approx. 121 million lbs. of refined copper. In 1925, the assets of the Atlantic Mining Co. were acquired by the Copper Range Co. 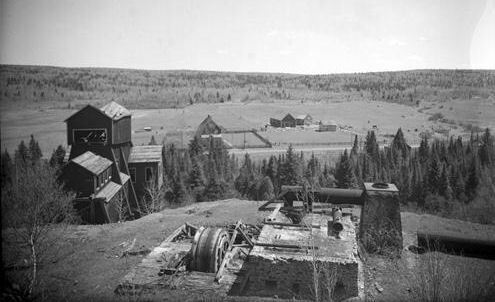 The Isle Royale Mine consisted of over 3500 acres of land just south of Houghton, comprised of the old Grand Portage, Huron, Frue, Dodge, and Montezuma mines. 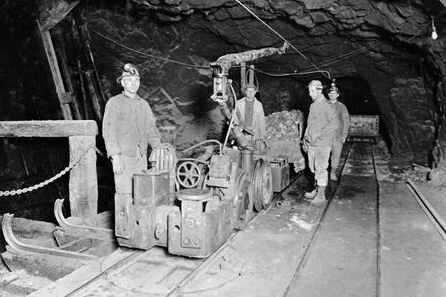 The mine consisted of six shafts, a centralized surface plant, a short line railroad, a stamp mill, a pumping station, and a coal dock. Its original planned location on Isle Royale itself never materialized, and the company to looked elsewhere for mineral lands. Their first attempts at mining south of Houghton only resulted in the naming of the Isle Royale Lode, a lode they had trouble working profitably. It wasn’t until the company was reorganized in 1899 and infused with some new funds, most of which came from alumet & Hecla, that success was finally attained. The new Isle Royale Copper Company managed to acquire mineral and surface rights to almost the entire length of the Isle Royale Lode, as well as the parallel Portage lode. The nearby Arcadian mine consisted of seven shafts and two adits near Ripley. 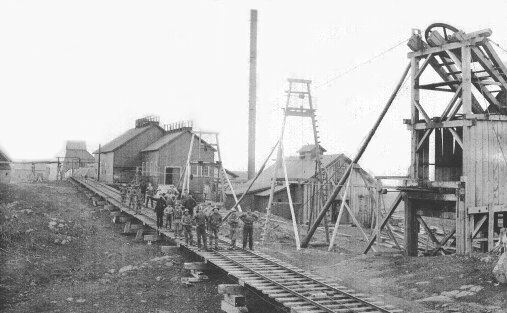 The original Arcadian Mining Co. was organized in 1864, then reorganized as the Arcadian Copper Co. in 1898 after the consolidation of the Edwards, Douglas, Concord, Highland, St. Mary's, and Arcadian mines. 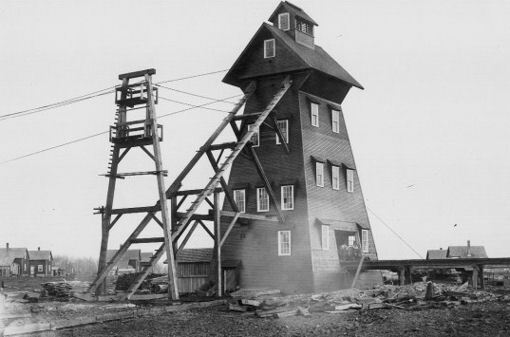 After it was determined that mineralization was too erratic to make a profit, as well as falling copper prices, the mine closed permanently in 1903. 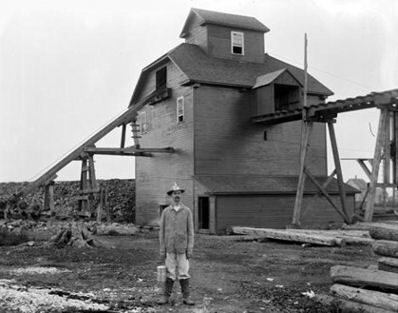 Two more attempts were made at mining in the location in 1909 and 1920, but both were unsucessful.